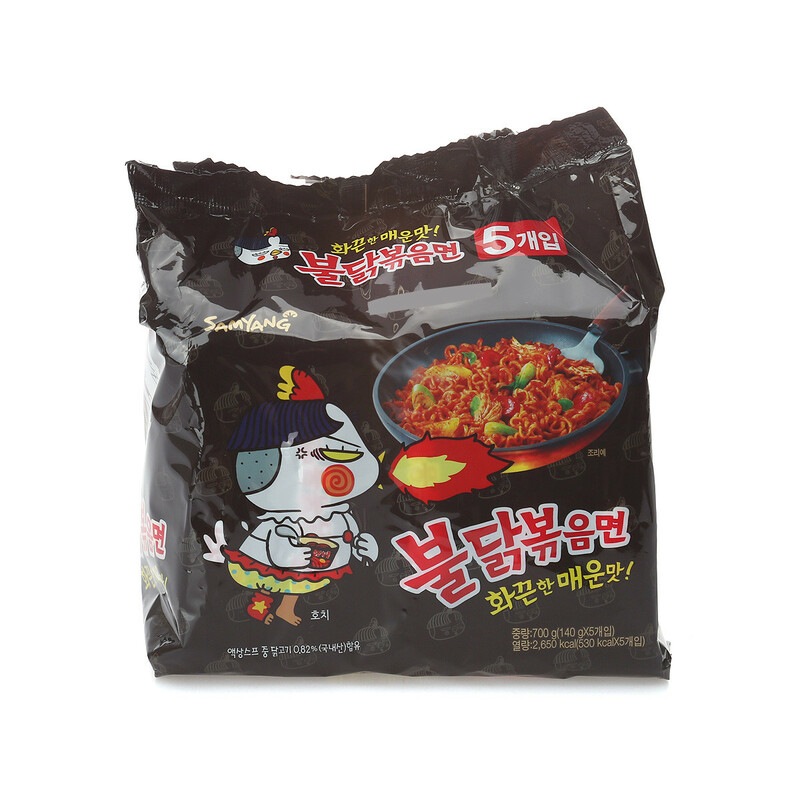 The famous Buldak Bokeumyun has taken Korea over by storm and is now spreading its popularity overseas! Manufactured by one of the leading ramen/food companies in Korea, Samyang, the Buldak Bokeummyun literally “Fire Chicken Roasted Noodles” in Korean. 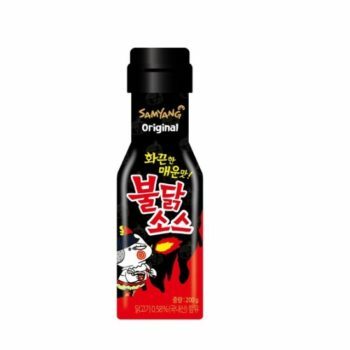 It’s a must-try for foodies who love a powerful kick to their food! Boil about 500ml of water. Put the noodles in the boiling water and cook for about 3 minutes (or longer depending on how you like them). Once cooked, pour out the water leaving about 8 teaspoons. Squeeze out the spicy sauce into the noodles and vigorously mix! Enjoy (preferably with a glass of cold drink to chase away the heat)! 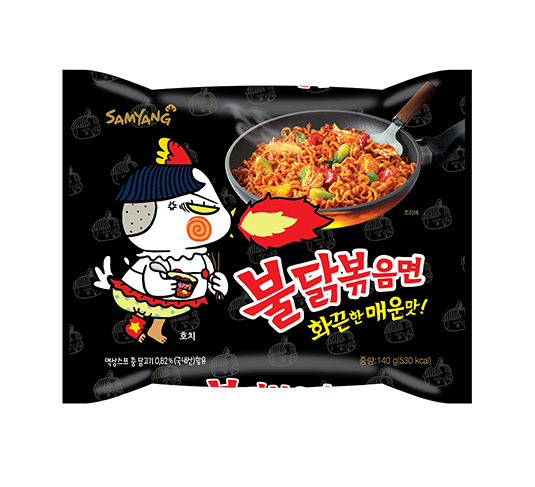 ** Please visit the Samyang Foods website for nutritional information.